Initially published in 1987, this work deals with crucial aspects of development, including disparities in global patterns of production and consumption. 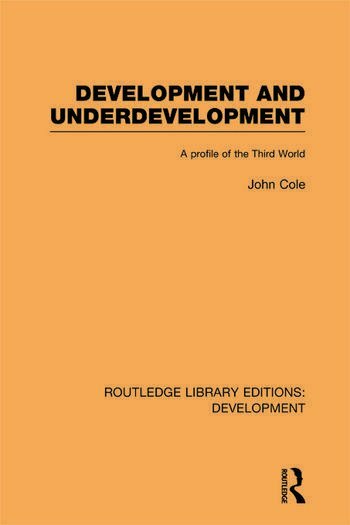 John Cole examines the exhaustion of non-renewable resources and the destruction of the natural environment and, on the potentially positive side, the effects of international transactions both in the form of development aid and trade. Rather than offering clear and definite answers – of which there are none – the book is designed rather to serve as a basis for discussion and to provide guidelines to the further study of specific aspects of global development.